STEAM Education (3D Programming & Scratch Programming). Leading robotics innovators Robosen recently unveiled their most advanced programmable robot yet during CES, the T9 which is a complex transformer robot with intelligent programming and AR games. The T9 is one of the most agile robots ever created. It uses an advanced flexible structure made from aerospace-grade materials and more than 3000 modules to achieve highly precise and complex movements. It can transform automatically to walk, drive, dance, and move using 22 high-precision servo motors which control the artificial joints. Using an advanced AI, the T9 can take on different shapes from humanoid to vehicle and perform complicated movements automatically. 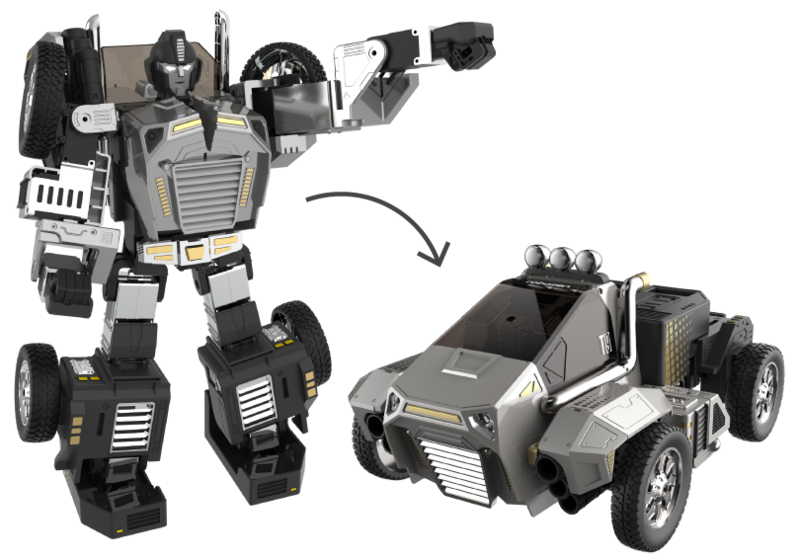 Transforms automatically to walk, talk, dance, drive and move! Using advanced flexible structures and more than 3000 modules, Robosen T9 can perform complicated movements automatically. Wake up Robosen T9 via voice control or APP, and watch it seamlessly transform from robot to car, automatically and easily. The T9 creates a platform for learning and developing core skills in STEAM education, coding, and programming that is accessible for children and adults alike. Getting started with T9 is simple using an included APP that acts as a remote control. The intuitive APP lets users get started right away and the robot also responds to voice commands, a useful tool for beginners. With simple motion memory as well as drag-and-drop combinations, users can create an infinite number of movements for T9 to perform. The two programming options allow beginners to learn and grow at their own pace. Made of aerospace grade material and equipped with more than 3000 modules, Robosen T9 has a multi-layer electroplated inkjet coating, metal structure, with 22 high-precision servo motors which control the artificial joints to enable incredible transformations. Simple, intuitive and informative. You can manage the Augmented Reality games via a smartphone app that acts as a remote control for reality mode. Enjoy an unprecedented immersive AR gaming experience at the touch of a button. The T9 also includes AR (Augmented Reality) games via a smartphone that acts as a remote control in reality mode for an immersive gaming experience. With T9, Robosen has created one of the most incredible robots capable of highly complex, fully programmable movements that are entertaining as well as a powerful learning tool for youngsters that makes robotics and programming fun and easy. Creative coding is fun and easy. Youngsters and adults alike can learn to programme in a fun and immersive way. Scratch Programming: T9 has modular programming capabilities for multi-interfaces of animation and graph. It uses a scratch programming system to convert obscure programming code into easy-to-understand graphical operations. 3D Programming: T9 is equipped with 22 active joints to support programming of hundreds of movements and notes. With simple motion memory as well as drag-and-drop combinations, you can create your own movements and notes that inspire the imagination. Robosen T9 will be launched via a crowdfunding campaign with rewards for early adopters with special deals and pricing. Robosen Intelligent recently unveiled their most advanced programmable robot. 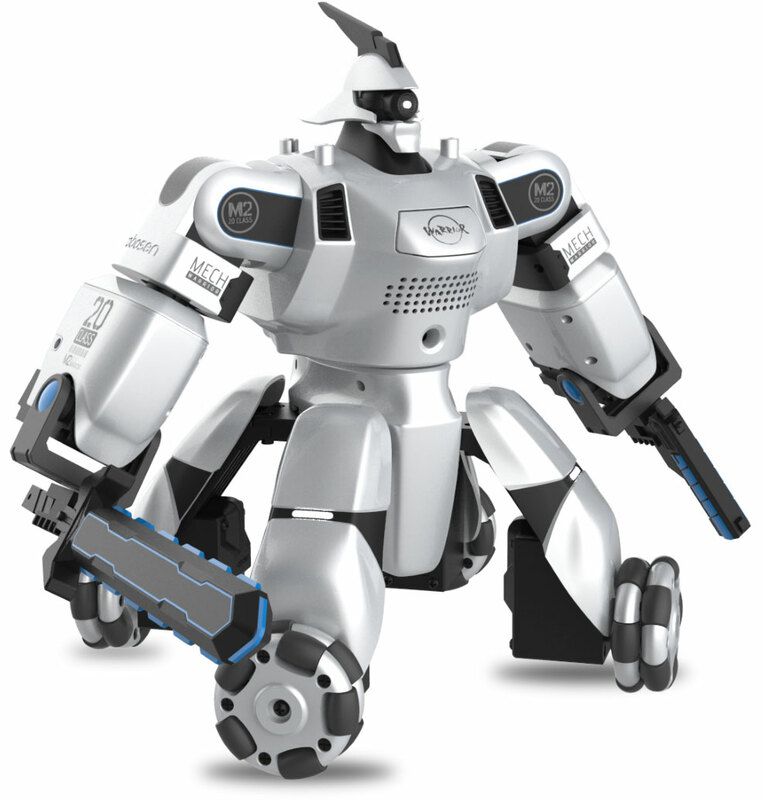 T9 is a complex transformer robot with intelligent programming and AR games. CES 2019 will likely be best remembered as the show that brought real transformers to global consumers. 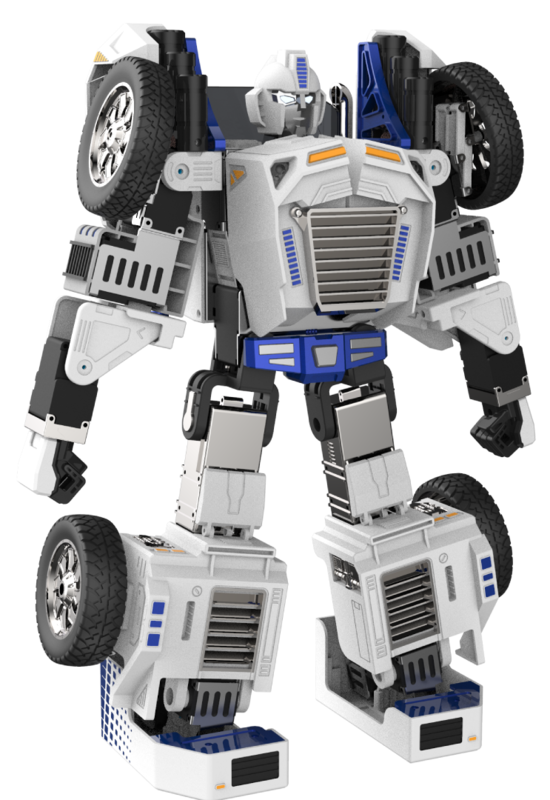 The new Transformer T9, created by Robosen over the last three years, is a highly agile robot that can automatically transform between humanoid and car form, is fully programmable and also includes games. To make all of this magic work seamlessly together, the T9 uses 22 separate, highly advanced servo motors controlled by a dynamic robotics system developed exclusively by Robosen. The robot has 22 servo motors that support switching from humanoid form to vehicle and back. Complex movements such as walking, driving, and dancing are controlled by voice and APP. It also supports an augmented reality game mode using a mobile APP operation, which provides an unprecedented immersive AR game experience.